Ray Comfort and Kirk Cameron’s debate with the Rational Response Squad (the group responsible for the “Blasphemy Challenge” on YouTube) is now running on ABC’s news website. I watched as much of it as I have time for, but early on it became clear that neither side was prepared for a discussion of the arguments for the existence of God. Comfort started with the argument from design, a strong argument to be sure. He gave several effective illustrations, but then he moved on to two other “arguments” that were actually gospel sermons unconvincingly cloaked in science. Comfort feebly argued from the existence of morality, allowing the discussion to turn towards the Ten Commandments and sin. This was unfortunate because it left atheist Brian Sapient an open door for accusing his opponents of not honoring the terms of the debate. (Comfort asserted that he would prove God’s existence without mentioning faith or the Bible.) 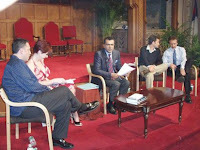 Last, Comfort gave a gospel sermon couched as an argument based on the power of conversion. On the atheistic side Brian Sapient, spokesman for the Rational Response Side, brushed off the argument design by saying it was “full of holes.” “Who designed the Designer?” he asked. This told me I was watching a debate broadcast for people who have never studied these arguments before, and about thirty seconds later, after Sapient said he had answered all of Comfort’s claims, I stopped watching. The question “who designed the Designer?” is a non sequitur, because it does nothing to negate the initial argument that a Designer can be inferred from the natural world. True, Sapient spent about ten seconds challenging Comfort’s premise, pointing out that men have mammory glands and that animals eat each other to survive, but in my opinion somebody’s going to have to do better than that before I come to believe an eternal universe accidentally formed our world and all of its marvelous features using only the tool of evolution. What was interesting to me is that, although the event was staged at a Baptist Church in Manhattan, Sapient received vigorous applause from the audience. In the portion of the debate that I watched, Comfort didn’t receive any positive feedback. It’s too bad that Christians can’t get a major network to broadcast an event like this unless Kirk Cameron is involved. On the atheistic side the representatives were even more embarrassing. The Rational Response Squad could not hide their arrogance, yet if they had read anything beyond the opinions of their friends on the Internet, it didn’t show. If the ABC’s producers were really interested in getting to the bottom of this, they would have invited some full-fledged philosophers to the table for a discussion. I’m told that portions of the debate will air on ABC’s Nightline tonight. Maybe somebody who watched the entire debate can comment to this post to give a more accurate recap of the debate. ABC has announced that it will feature a debate between actor Kirk Cameron and evangelist Ray Comfort on Wednesday, May 9. The debate will be broadcast on ABC.com at 1:00 p.m. (Eastern time); later that evening excerpts will be shown on ABC’s news program Nightline. Cameron and Comfort assert that they can prove God’s existence scientifically, without mentioning faith or the Bible. 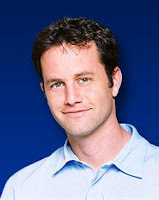 It is strange that, out of all the renowned theists in the world, this opportunity has been granted to Kirk Cameron, the actor who starred in several movies connected with the Left Behind series. I’m hoping his arguments are more logical than his end-time scenarios. Also, it will be interesting to find out who Cameron and Comfort will be debating. That important piece of information was left out of the press release.